Firstly, it aims to uncover the iconic region's history and heritage. This will build knowledge about the significance of the industry to the region's wine producing community, the Hunter, and the nation. Secondly, it will look at how Hunter Valley producers have changed the Australian drinking culture by creating a taste for their wines. An example of the University's commitment to producing world-class research through regional partnerships, the project will involve collaboration with both the Hunter Valley Wine and Tourism Association and Newcastle Museum. In collaborating on this project the Hunter wine community not only secures itself a better future by understanding its past, but contributes to new understanding of Australia's role in a critical global sector, and the nation's growing taste for wine. Exhibition at Newcastle Museum, 4 August - 14 October 2018 - The exhibition is the first feature of the wider Vines, Wine & Identity project to be released publically. It traces through six generations of wine producers in the Hunter Valley, from when the first vines were planted in 1828 to the changing tastes and rising interest in wine of the 1980s, introducing the viewer to the changing historical conditions and many personalities that helped shaped the region. 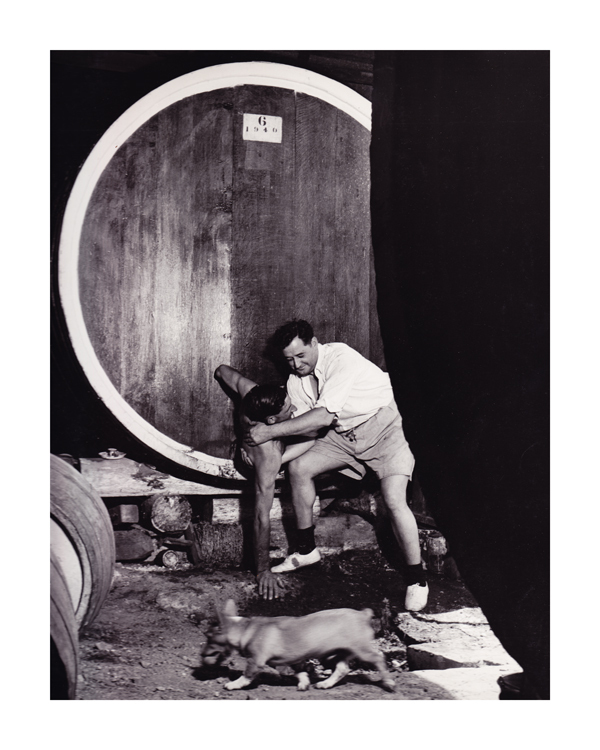 Hunter Wine: a history book launch, 22 September 2018, Newcastle Museum - In a similar vein to the above exhibition, the book indentifies and names the generations of the Hunter Valley giving the wine community of producers and workers a voice. Instead of defining the “wine region” by an external narrative from either wine education or national history, it shows how the Hunter Valley community has its own local logic and innovations while being connected to wider influences, including the global economy. Find out all the latest information on our research, partnerships, achievements and events. 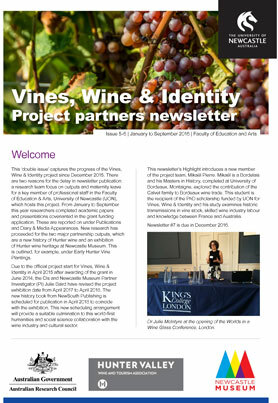 Subscribe to our quarterly Vines, Wine and Identity project partners newsletter. 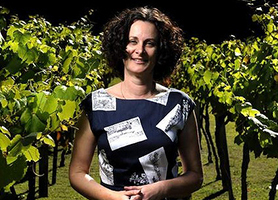 See media coverage of wine research at the University of Newcastle. View publications by our Wine Studies Research Network members. Contact the Vines, Wine and Identity research team. Images: (top of page) Climbing out after cleaning the inside of a barrel, Mount Pleasant winery, 1950. 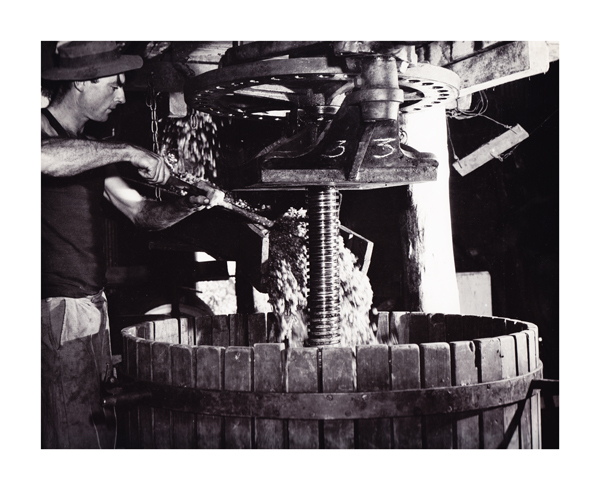 (Above) Grapes pouring into the press, Mount Pleasant winery, 1950. Both by Max Dupain, courtesy of the National Library of Australia.